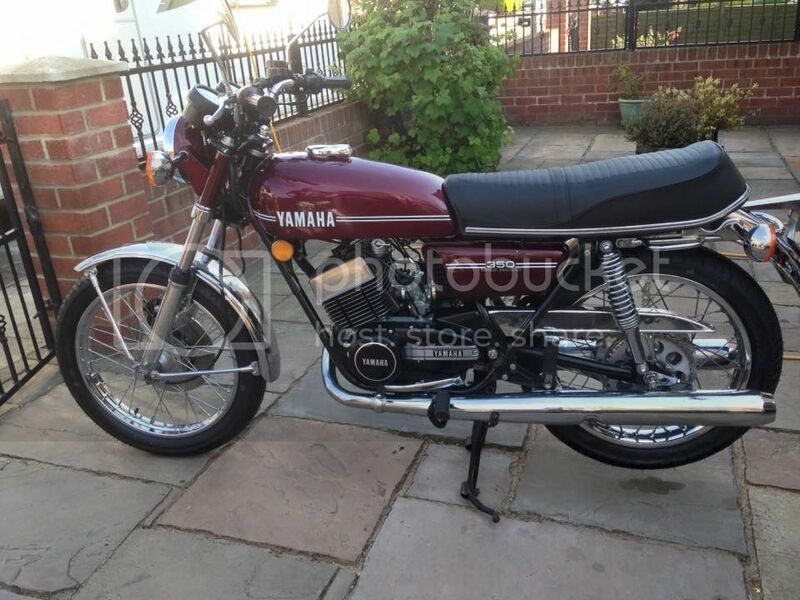 Anyone going to the Manx I am hoping to take my 1974 RD350A over . I will be marshalling at Sectors 4 at Sarah's cottage and 5 at Burnside at the end of Cronk y vody straight during practice and race week. Yes, going over for the race weekend. Have been to the TT a few times but this will be our first Classic so really looking forward to it. We are flying in so keeping it simple and have main grandstand tickets for both race days we are there. Will look out for your 350 when we are out and about! Going over Wednesday to Wednesday for the Classic TT/Manx. It'll be my 3rd trip over to the IOM this year, I'm going over on the 9th July for 7 days and flag marshalling at the Southern100 International races again. I'll be there. It is in my opinion a far more interesting event that what the TT has become. Let's hope we get the same weather as the TT had. I'm at my usual digs The Railway Station Hotel, Port St Mary. i`m going on the 27th aug (5 days). It was a late decision to go and could only get a "homestay" near quarter bridge, as all hotels booked up! Been many times but this is the first time i have used "homestay". Still looking in case any vacancies come up (b+b single room) as i would prefer a bar downstairs . If anyone knows of any vacancies let me know! I travelled home yesterday from a superb weekend. Saw some great racing - Watching Michael Dunlop hurl that 80's technology 1100 Suzuki round a 126mph lap was a real treat, as was seeing the 250 2 stroke race bikes out again. Shame about Harrison and Hillier disqualifications, I'm sure the bikes did break the rules, but all the bikes were so different anyway. Possibly even more pleasure to be had simply wandering the paddock or Douglas seafront. I have done the regular TT a few times, but this was different again. I have never seen so much classic machinery in one place. I was tripping over Z1's, H2's, CBX's everywhere, just parked in the street. I only saw a few RD's but took pics and will put them up when I get them off phone. Worthy of special mention in paddock was the Team Classic Suzuki stand. Stunning line up of 70's and 80's race bikes including multiple ex Barry Sheene RG500's etc. It was so good I assumed it was a Suzuki GB collection, but then found out it was just part of a collection of 70+ historic Suzuki race bikes all owned by one enthusiast collector - Hats off to him. Brilliant event. Highlights show on ITV4 Thursday night. Just got back this afternoon, didn`t need the waterproofs at all! Going to watch that tv prog with interest cause i might just be on it- I was at Jurby when Steve Parish interviewed a few spectators! (right next to them) The sight and sound of the old four strokes/two strokes bought back some memories. Shame that the "manx" couldn`t "stand alone" as it used to instead of becoming part of a "mini tt". looking forward to it,just waiting for Steam Packet to organize their bookings !!! hope its easier than when I last sailed with them !! Like you John just waiting for the Steam Racket Co to open bookings. At least they don`t winch them on (3 at a time) like they used to on the old ferry`s! and that you can ride on in relative safety,not like before !!! !